Since it's December, I only listen to Christmas music. However, I love it and get to enjoy it for a whole month. Ok, ok, really I have been listening to it since November. Who is counting, other than JenniSixx?? Anyways, this one of my favorites. Love Love love this song. I totally sing along with it when it comes on. Oh how I love this song. I love how it makes me hands smell. that's just my hand cream. I'm so excited for this movie. Cinderella has always been my favorite Disney Movie. which will be here before you know it. Plus, Richard Madden plays Prince Charming. Hello, Robb Stark for all you Games of Thrones fans. He looks so handsome clean shaven!! The trailer is so good!! I have lost count on how many times I have watched it. I saw this on Pinterest and it made me laugh out loud. True story, I once dressed up as an Elf for a charity Holiday Party that my office held. we got to help Santa hand out his presents to the children. The party was so big that it was shown on the local news. everyone was watching and saw me dressed up as an Elf, helping Santa. Here I thought, NO one would see me. Who knew so many people watch the 11 o'clock news!! It was so funny, just how many people recognized me dressed as an Elf on the news. Even writing this, makes me laugh. So many friends were like did I see you on the news dressed as an Elf with Santa?? Oh, it was so fun. I wish I knew were the pictures were. This was before camera phones were the big thing. Did I just "date" myself or what?? Mine Elf name is Pixie Twinkle Toes. Jennisixx Elf name is Pudding Twinkle Toes. mass consumerism (talking to you, retail stores) out there. Christmas isn't about the gifts, it's about spending time with those we love. It's about being with family and friends. Christmas is about giving, not receiving. I thought this quote fit perfectly for today. I have no plans for the weekend and I'm happy about that. After the craziness of last weekend, I'm happy to sit around and not do much. I did the elf name yesterday and it was so cute LOL!! So I love Mariah Carey's Christmas song, but after hearing it at the tree lighting on tuesday, yikes!!! 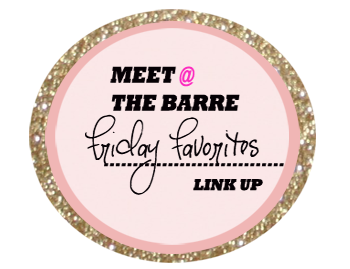 Hope you have a great weekend girl!! Perky Festive Fingers. Yikes, that sounds dirty!! I love that Mariah Carey song! I belt it out (badly) in the car! 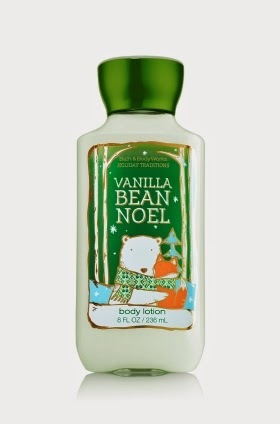 I love vanilla bean noel!! We have the lotion next to our kitchen sink! I LOOOOOVE Christmas music and have been listening to it since November 1! And I love all the holiday scents at B&BW! The Grinch is one of my favorite Christmas movies and I can quote it all the live long day! The Mariah Carey Christmas album will forever be my favorite. Oh this movie looks good, there are a lot of movies I want to see this season. Which is nice change, so many times there is nothing out I want to see. That is one of my favorite movies. 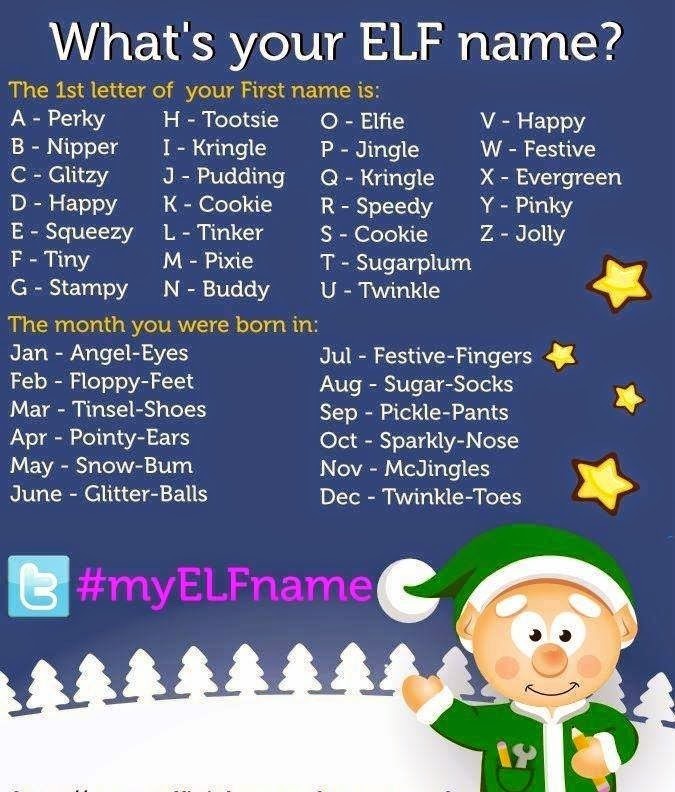 My Elf name would be Cookie Sugar Socks. Hehe!